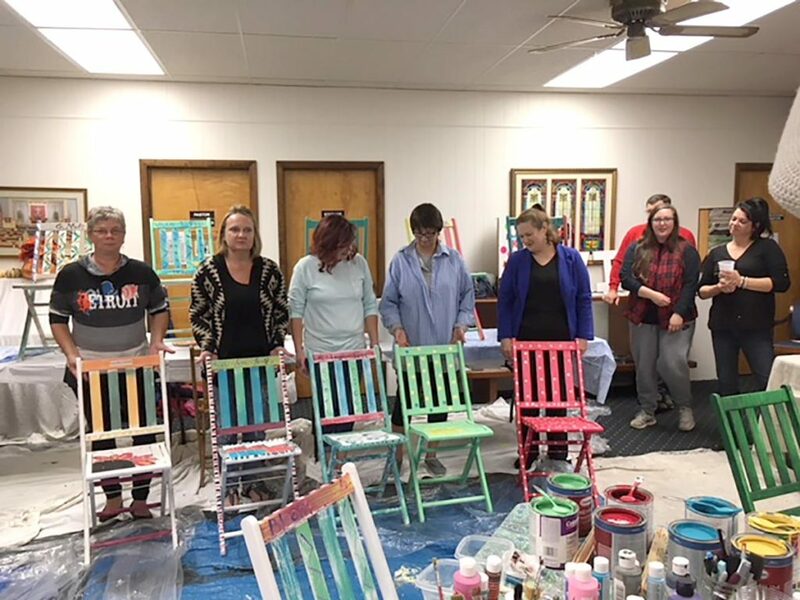 The Kidz on a Mission class sponsored a fund raiser. 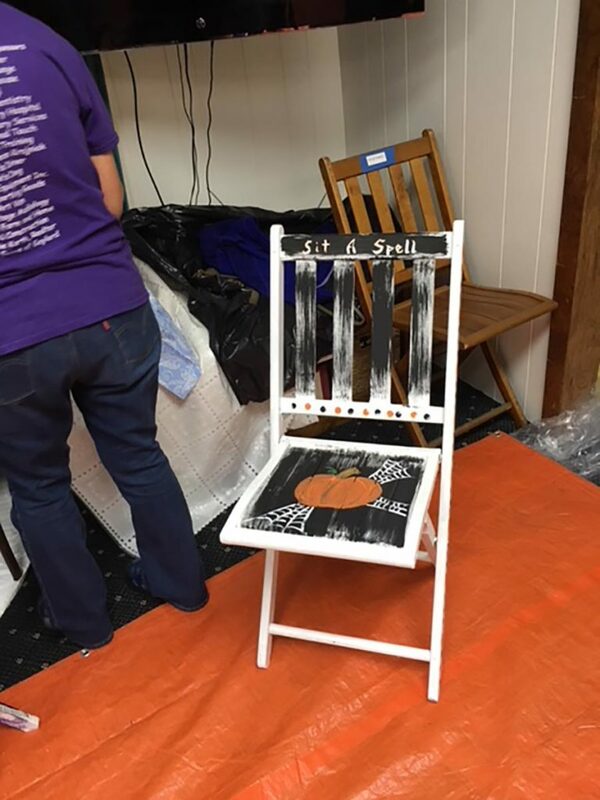 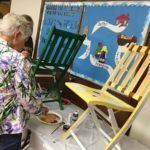 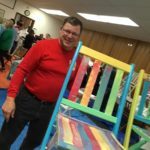 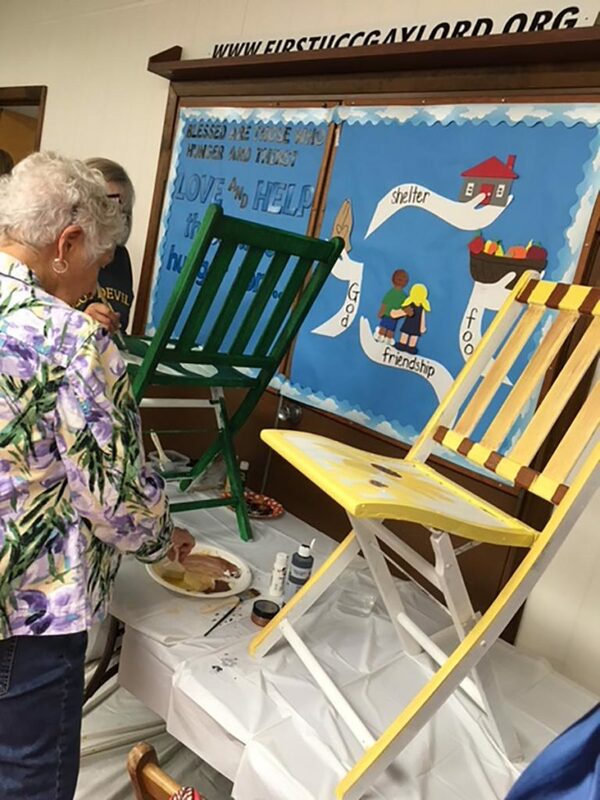 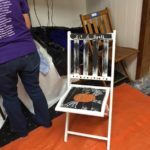 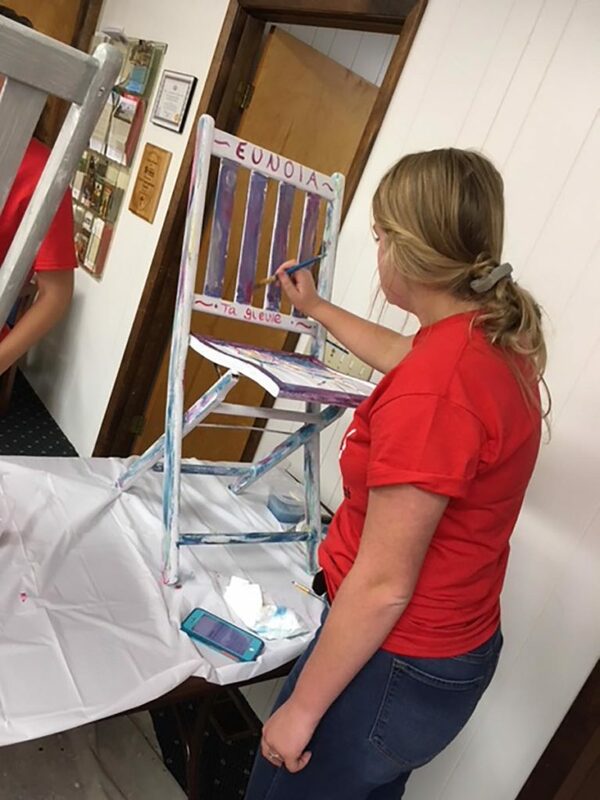 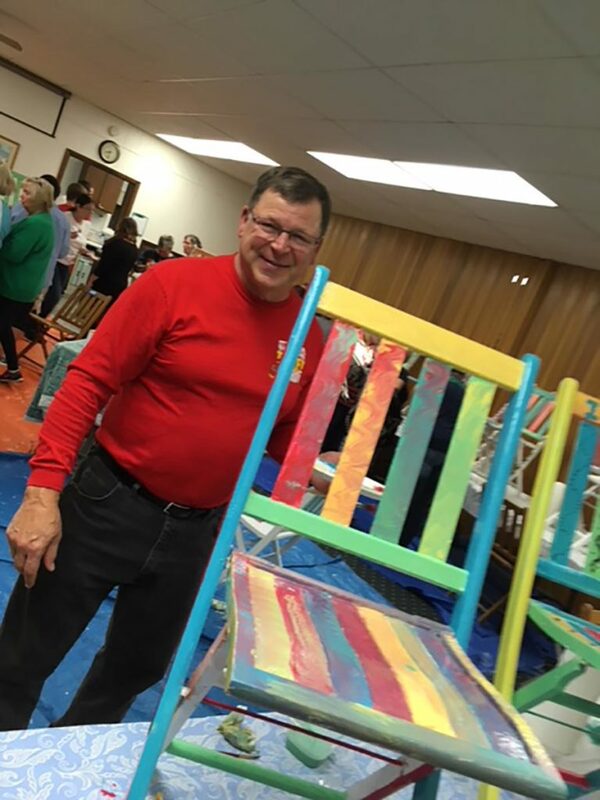 Some of the extra wood folding chairs were offered for painting. 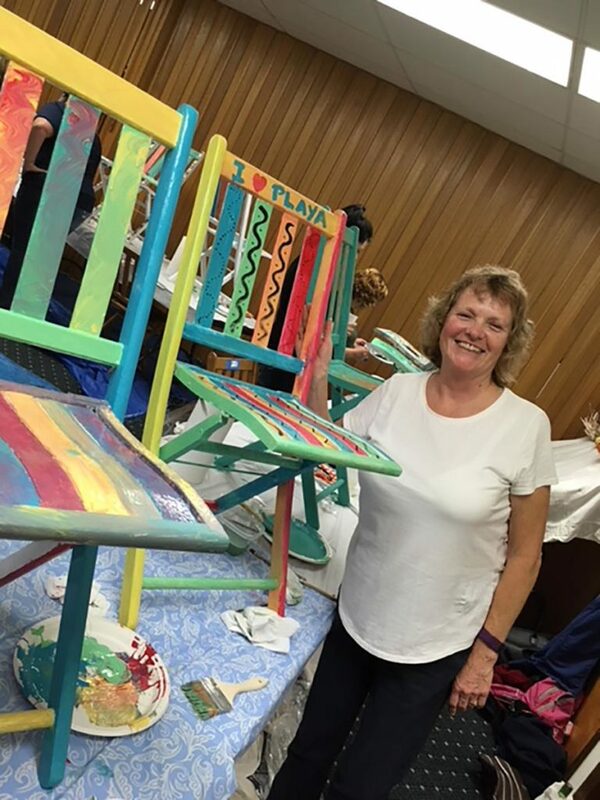 Mary Backlund was the teacher for the evening. 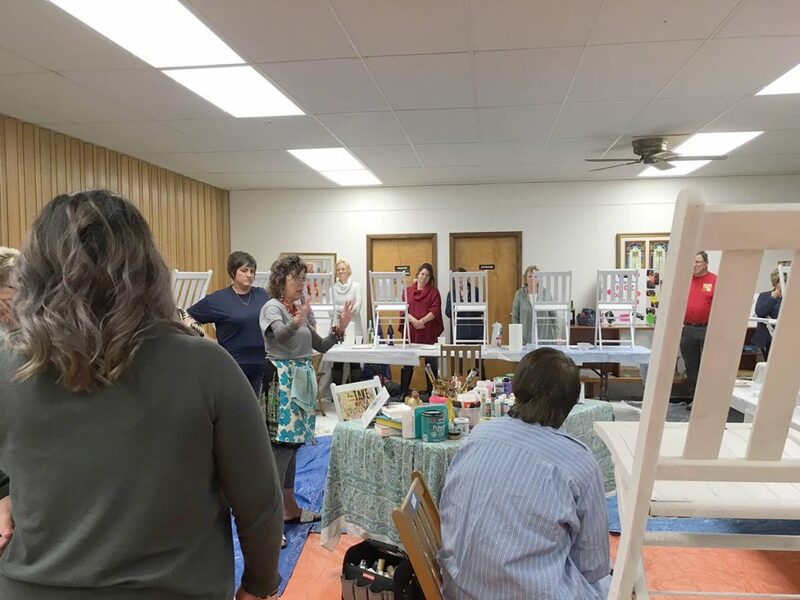 Twenty nine people attended. 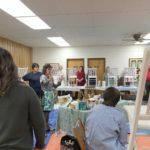 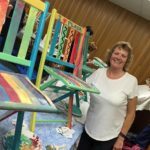 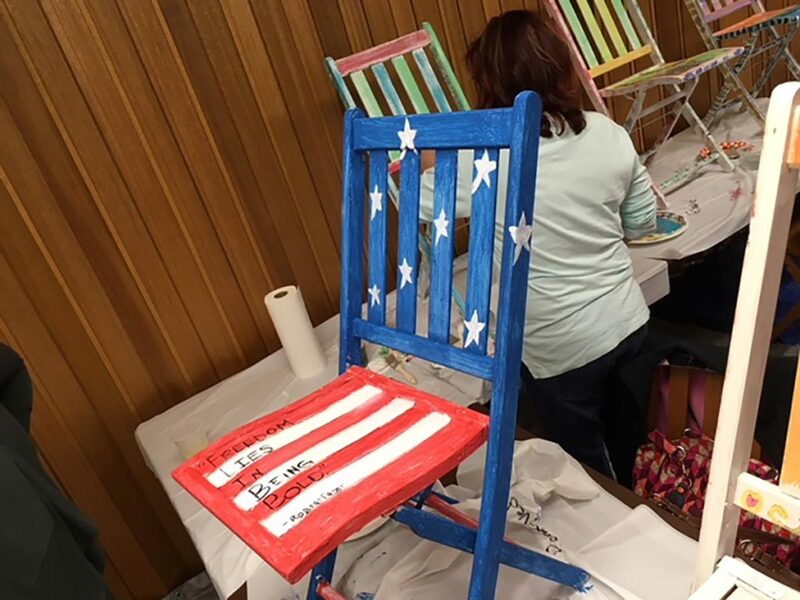 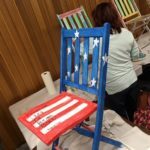 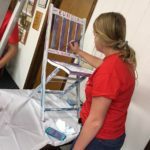 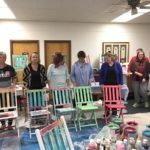 The class offered the chairs, painting supplies, snacks and soft drink.